This beautiful designer bracelet by De Buman is crafted of sterling silver. Securing with a snap closure clasp, this genuine brown leather bracelet is perfect for your personalized beads. This is a very nice leather charm bracelet and looks good with other bracelets! "Will this bracelet accommodate most 3 mm charms the same as a metal bracelet would?" Hello paid4, we appreciate your inquiry. 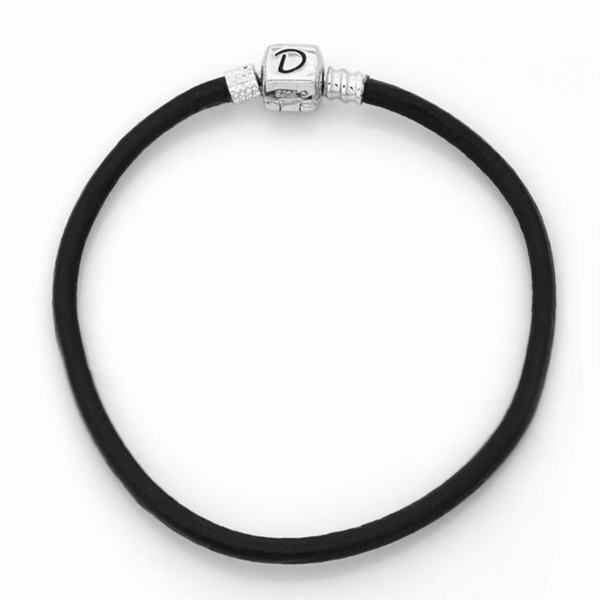 Yes, this bracelet would accommodate charms, as long as the loop in the charm fits over the ends of the bracelet. We hope this information has been helpful. Thank you for shopping with us! "how do you open up this bracelet?" Hello thenwhat, This should just pull apart. This has snap closure. Thank you for shopping with us! As a popular choice for style- and budget-conscious jewelry lovers, gold-plated jewelry makes it easy to keep up with the latest fashion trends without breaking the bank. Stay in the know about gold-plated jewelry with our list of frequently asked questions.